We’ve all been there. Matt Warman MP has been there. You’ve done the countless hours of legwork to find the broadband deal that’s right for you. You’ve asked whether there’s unlimited downloads, got excited at a broadband speed fast enough to stream Netflix, sorted out all the faff with the engineer coming and then…you switch on your shiny new service and the broadband speed is nowhere near what you thought you were going to get. Broadband speeds vary from house to house, and business to business. We all probably know and accept that. The ridiculous situation in the UK at the moment is that any broadband provider like BT, Virgin Media or TalkTalk is allowed to advertise broadband speeds that 90% of customers can’t get. If you see a broadband speed of 76Mbps advertised – one of the faster mainstream deals on the market – it’s likely only one in 10 people who buy that package will be able to get that speed. 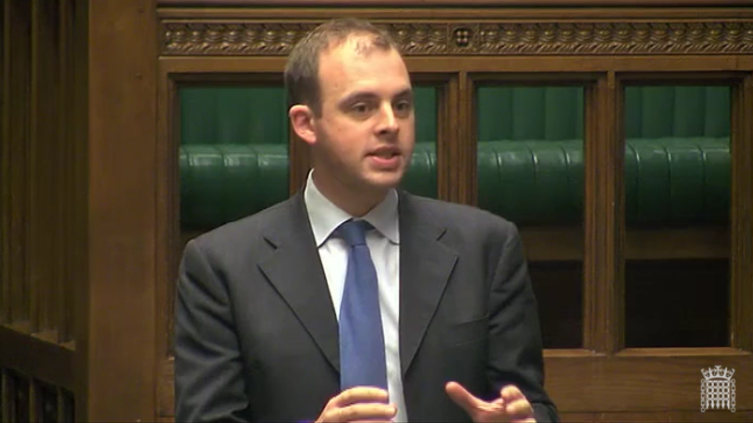 Pushing for a better deal for consumers is Matt Warman, a Conservative MP who represents Boston and Skegness in Lincolnshire. He said last week that advertising around broadband speed ads is ‘akin to fraud’. In an exclusive interview with BroadbandDeals.co.uk, Matt Warmantalks us through the biggest issues facing broadband customers now, and what he’s doing in Parliament to fight for the consumer. The Advertising Standards Authority (ASA) are the ones who govern this practice. Along with the Committee of Advertising Practice (CAP) they are consulting on the one-in-10 rule and are expected to rule in spring 2017 whether there should be any changes. 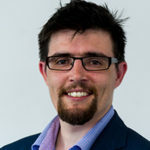 Matt is a former consumer technology editor for The Daily Telegraph, and became an MP in May 2015. He now sits on the House of Commons Science and Technology Committee, which looks at everything from the latest medical breakthroughs to spaceflight. He secured a debate in Westminster Hall on Wednesday 8 March to argue that the government should provide more protection for broadband customers and to urge the ASA to boost the numbers from one in 10 to at least five in 10. The government agrees that advertising over broadband speeds “are likely to mislead”. Minister of State for Digital and Culture minister Matt Hancock MP said as much in the Westminster Hall debate. Matt says that if a company want to advertise a certain broadband speed, like ‘up to 17Mbps’ or ‘up to 76Mbps’ then at least five in 10 people, up from the current limit of one in 10, should be able to get that speed. Also, if companies are advertising superfast fibre broadband, it should be 100 per cent fibre, not part-fibre and part-copper. It’s pretty strong language to call broadband speed ads “a fraud on the consumer” as Matt has done. Has he had any pushback from the big operators, or is it just time to break ranks and call it what it is? “If I’m honest no. Obviously BT, TalkTalk Virgin, all the big brands, as well as Ofcom and the ASA are keen to talk to me and others who take an interest in this issue. No-one has, I think, really got any commitment to keep the existing guidelines. All the pressure now falls on the consumer to get the right deal for themselves. With price comparison sites like BroadbandDeals.co.uk doing the hard work of finding how much these deals actually cost, it should be simple for the consumer. But it’s not. What chance is there of changing the rules over broadband speed fraud? Matt Warman says: “To be honest, I’d be pretty astonished if they weren’t thinking along these lines already. So why has broadband speed advertising been allowed to get to this stage which allows companies to be so economical with the truth? Matt Warman says: “There is no other industry as you imply, where you buy something and think, ‘Well I might get it, or I might not’. “That strikes me as a failure in the distant past by the ASA that we shouldn’t allow to persist and of course on the other side of it there are commercial interests from the service providers where there is huge advantage to them in being able to say that a speed is significantly higher than that which is actually received. “Now, I think what we’ve actually discovered is that that hasn’t done them any favours at all. Actually all it’s done has undermine faith in broadband providers, has undermined faith in those adverts full stop. Two of the biggest gripes from Matt’s constituents will be relevant to everyone reading this. Firstly, people are told that an upgrade to ‘superfast broadband’ is coming in the next three or six months, and 18 months later it still hasn’t arrived. Secondly, when it does finally appear, you get a “disappointing” proportion of people that are told that all the slots in that cabinet have been taken, so while superfast might be available in your town or village it is no longer available to you. Matt Warman says: “To some extent people will blame, in our case, On Lincolnshire, the local authority, in some cases they will blame BT. “It’s the delays in rolling out a service that is often promised to be faster than it is when it actually arrives which is problematic. UK businesses suffer from poor quality broadband just the same as home owners and renters: is there a service available full stop, and does it deliver what I need it to? Matt Warman notes: “While the approach for a long time has been to say, ‘You can pay for your own tailored rollout’, we’re now at a stage where in practice it is people that don’t have a good enough service are being asked to pay. What can BroadbandDeals.co.uk do to ease the pain? Sites like ours that show you the best broadband deals available on the market right now, adding in all the hidden costs, are vital, says Matt Warman. “Sites like BroadbandDeals.co.uk and the media in general need to keep banging the drum on this issue because we know it matters to consumers and by applying that kind of pressure we are going to encourage companies to go beyond the bare minimum. “There are not that many situations where there is genuine competition between providers on what service is available. We are all beholden in a large number of cases to Openreach and that means that the way we encourage the rollout of that superfast network is to be honest about the speeds people are really getting. “I wouldn’t call it name and shame but certainly [we need to] make sure people understand at the very top of these companies that what is on the poster is not what people are getting through the door. BroadbandDeals.co.uk should link up with MPs to campaign to demystify broadband, says Matt Warman. “The idea is great [in prinicple] that consumers know the difference between ADSL 2+ or whatever, or even that they know the difference between fast and superfast broadband. In Parliament Matt Warman likened buying broadband to picking up a packet of organic grapes in the supermarket, then by the time you get to the till, you find you’ve only got 10 per cent of what you paid for, and most of the grapes aren’t organic. We put it to him that buying broadband is really like buying a ticket for a ferry, then when you turn up at the port with all the other passengers, only one in 10 of you can get on board. Those that do, have to swim the last half-mile to shore by themselves. Whatever analogy you use, it’s clear that consumers are being fundamentally misled over broadband speeds. What’s next for broadband speed ads? The ASA and the body that writes the rules they follow, the CAP, are due to publish new documents in spring 2017. Everyone with an interest in broadband speeds – including tech-savvy MPs and the editorial team here at BroadbandDeals.co.uk – will be watching out for this like a hawk.